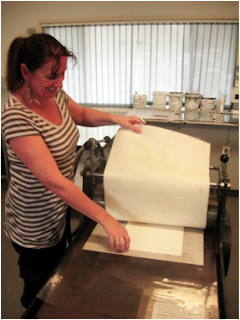 Six-week printmaking masterclass commences Saturday February 18, 2012. Artists with some experience in printmaking will have a opportunity to work with master printmaker Matthew Ablitt this year, by enrolling in a six-week printmaking masterclass which starts on February 18, 2012. This exciting masterclass will run for six consecutive Saturdays from 9am-3pm, and will provide an invaluable opportunity for participants to develop new work in the medium of intaglio printmaking. 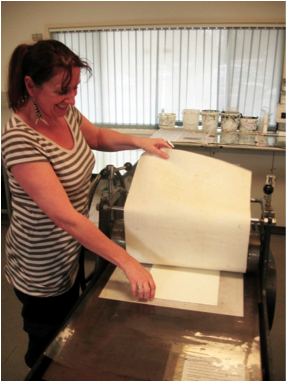 This course is an exciting opportunity for artists with some experience in printmaking to work with a master printer to develop further skills and insights into intaglio and multiple plate processes. Workshops will begin with basic techniques and move to more advanced intaglio techniques. Participants will have the freedom to develop their own motifs and themes using the techniques shown. Matthew Ablitt is an artist and master printmaker who recently moved to Sydney from London where, over the last 10 years, he has worked for the top London editioning studios: Hope Sufferance Press, Paupers Press and Thumbprint Editions. Matthew has worked with artists such as Damien Hirst, Paula Rego, Anish Kapoor, Peter Doig, Jake and Dinos Chapman, and John Hoyland, helping them realise their artistic vision in printmaking. In addition to working in the UK, Ablitt has also printed in Australia at Basil Hall Editions and Northern Editions in Darwin and more recently in Sydney for Griffiths Studios and at Whaling Road Studio. Students will have the opportunity to examine an array of European and Australian Printers Proofs from Matthew's collection and he will explain how the different artists worked towards their final print. For more course information, contact Jo Ernsten on ph 9208 9490 on or after January 23, 2012.